TOKYO • Japan said yesterday that it believed a new photo posted online of a Japanese journalist missing in Syria - showing him for the first time since a video released earlier this year - is authentic. The photo, which received widespread coverage in Japanese media, shows freelance journalist Jumpei Yasuda, who has been out of contact since June last year, wearing an orange shirt, his hair and beard grown long. He is seen holding a piece of paper with a handwritten message in Japanese that says: "Please help. This is the last chance. Jumpei Yasuda." It was not clear when or where the image was taken, but Foreign Minister Fumio Kishida told reporters that the man is likely Mr Yasuda. "The government is now analysing the image," he said. Chief Cabinet Spokesman Yoshihide Suga said the government was doing what it could. "Since preserving the safety of Japanese citizens is our most important duty, we are making use of a broad net of information and doing everything we can to respond," Mr Suga told a news conference. Footage of Mr Yasuda was posted online in March. In the one-minute video, the bearded man wearing a black jumper with a scarf around his neck says in English: "Hello, I am Jumpei Yasuda. Today is my birthday, 16 March." The footage was posted online by one Tarik Abdul Hak, who said it had been provided to him by a group called Al-Noor, which he said "has been mandated by (the Al-Qaeda-linked) Al-Nusra (Front) to carry out a mediation for his release". Japanese public broadcaster NHK reported that the same person posted the new photo online. 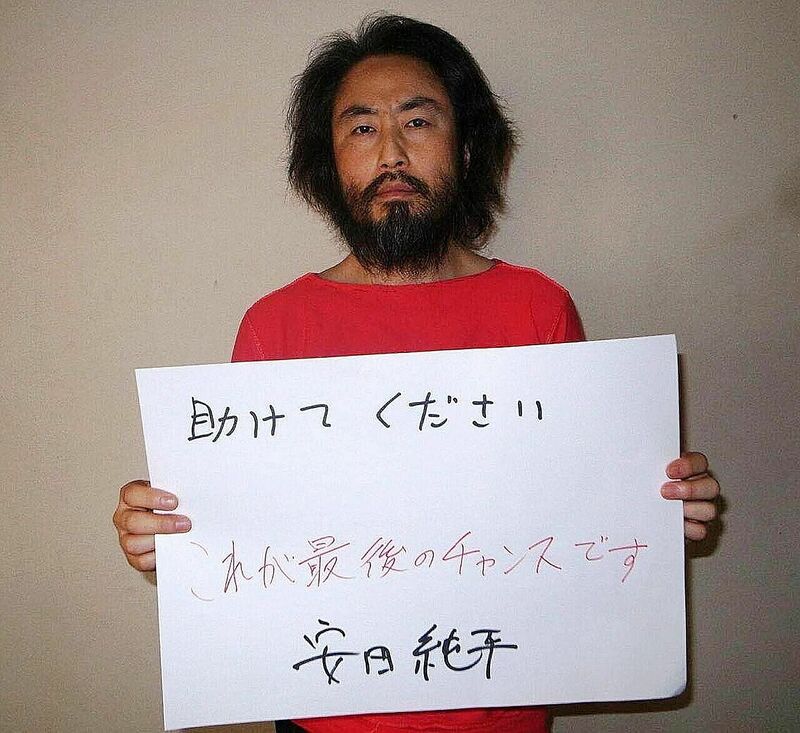 Militants from the self-styled Islamic State in Iraq and Syria (ISIS) group last year beheaded Japanese war correspondent Kenji Goto and his friend Haruna Yukawa. The government in Tokyo was criticised for what detractors saw as a flat-footed response to the crisis at the time, including apparently missed opportunities to free both men. Earlier this month, three Spanish journalists, who had been held hostage in Syria by an Al-Qaeda-linked group, were released. They shared part of their time in captivity with Mr Yasuda, according to Spain's Europa Press news agency.